4 in 1 MULTIFUNCTION：The safety bar can be removed when kids grows,suitable for 4 childhood stages:Guided, Learning, Developing and Independent, besides, the foot pedals can be used as footrests for early stages.Baby bike has 2 position adjustable seat to fits in different ages. SECURITY：Kids trike frame is made of high quality materials. 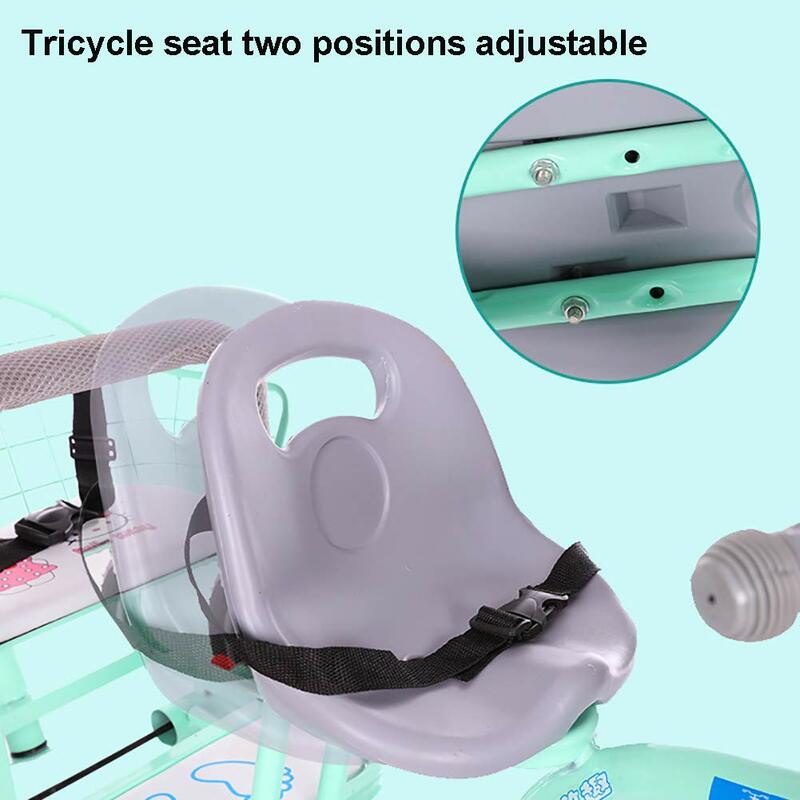 Baby tricycle passed the 3C certification: non-toxic test, flame resistance test and durability test.Suitable for children from 12 months to 6 years. 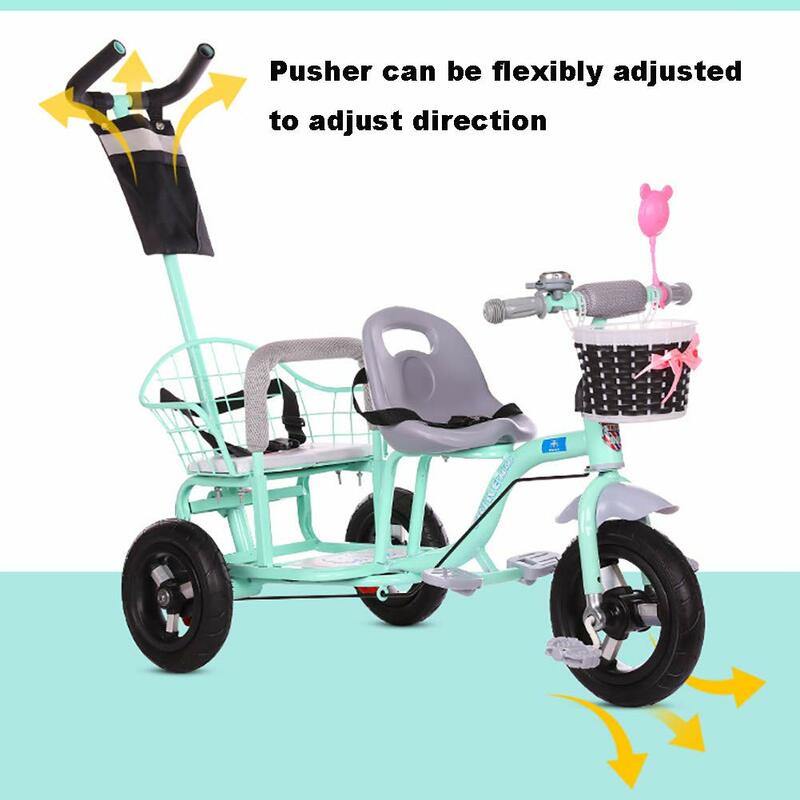 ERGONOMIC PUSH HANDLE：There is a foam padded handle for parents to control the direction of this tricycle, and you can rotate the handle to meet your need, which offers great comfort when pushing. Every child remembers their first bike. 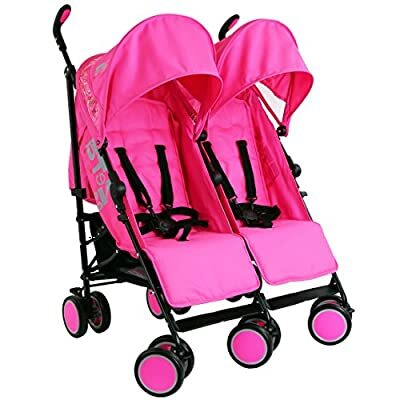 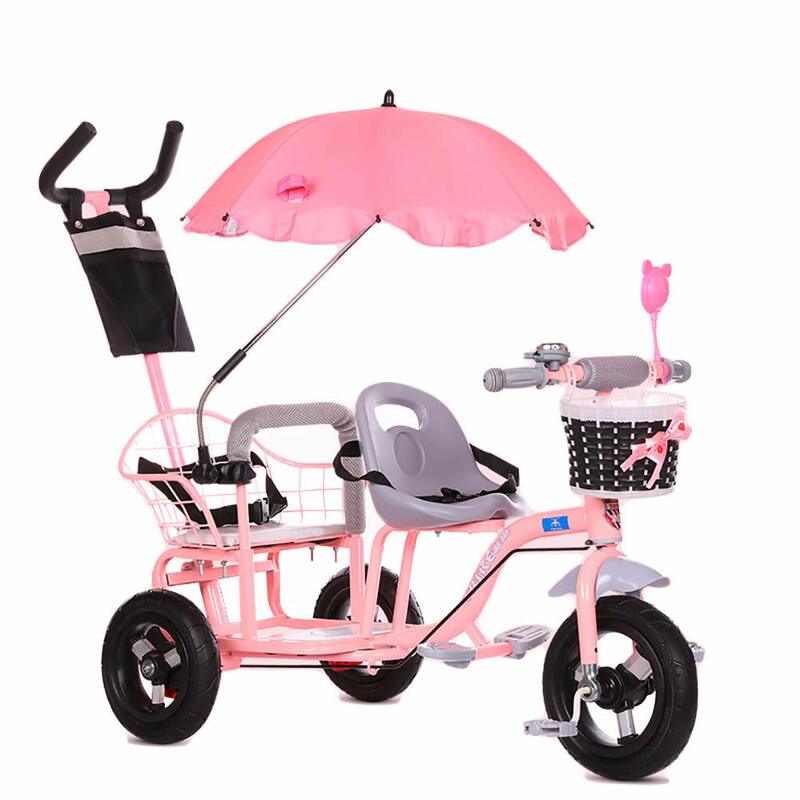 Make those special memories with our twins children tricycle! 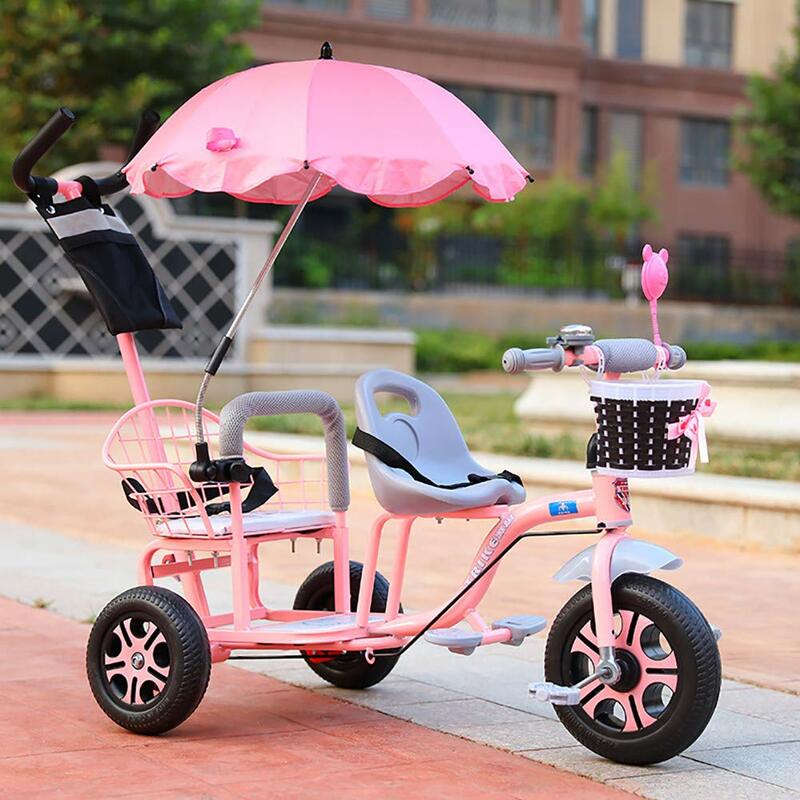 This tricycle is ideal for the family with not only one kid. 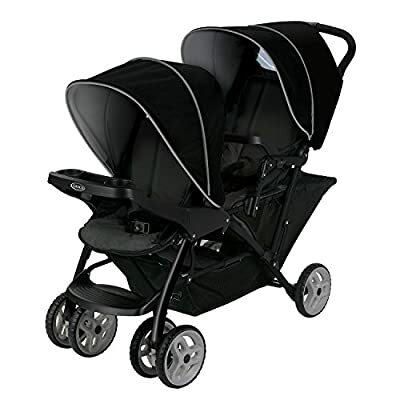 There are two seat making it possible for parents to walk the twins in the same time. Choose This Without Hesitation! 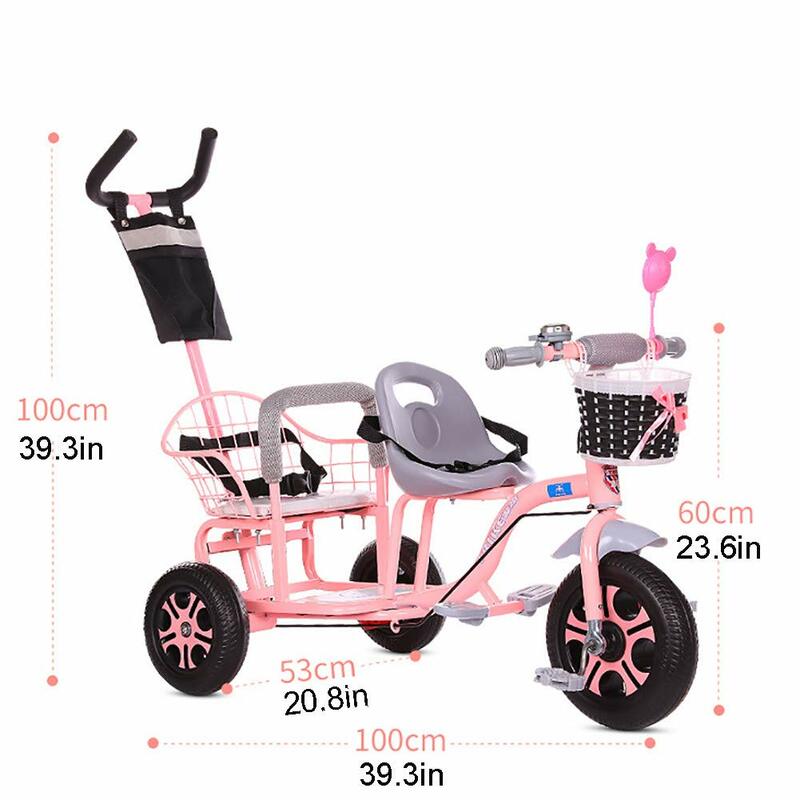 The 4-in-1 Trike is the ultimate grow-with-me trike. 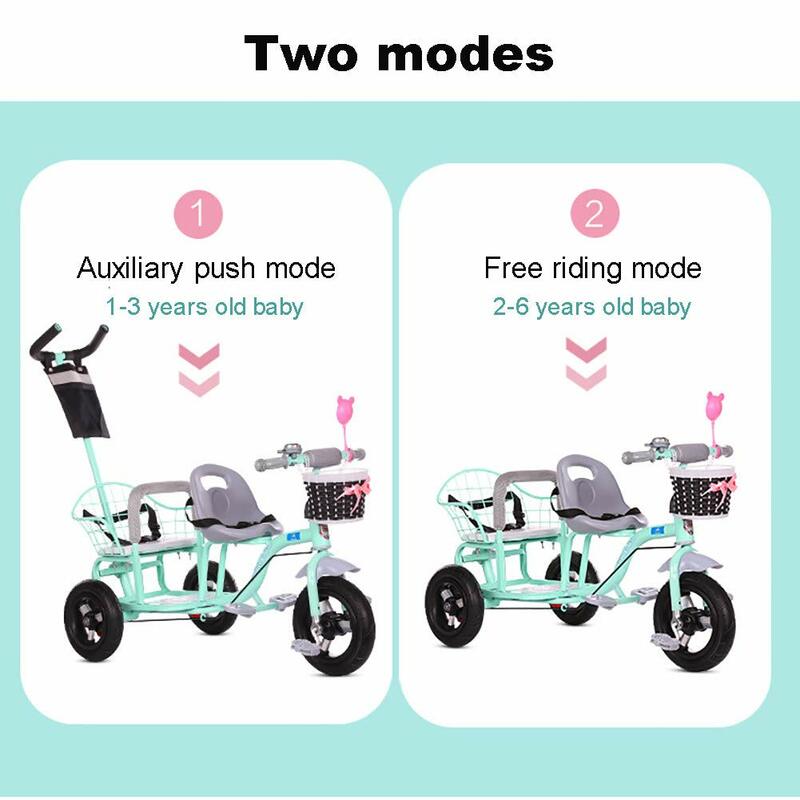 It offers 4 ways to ride, to accommodate ages 12 months to 6 years: it easily converts from an infant trike to a steering trike, learn-to-ride-trike, and finally a classic trike.So it can be used for a long period of time. 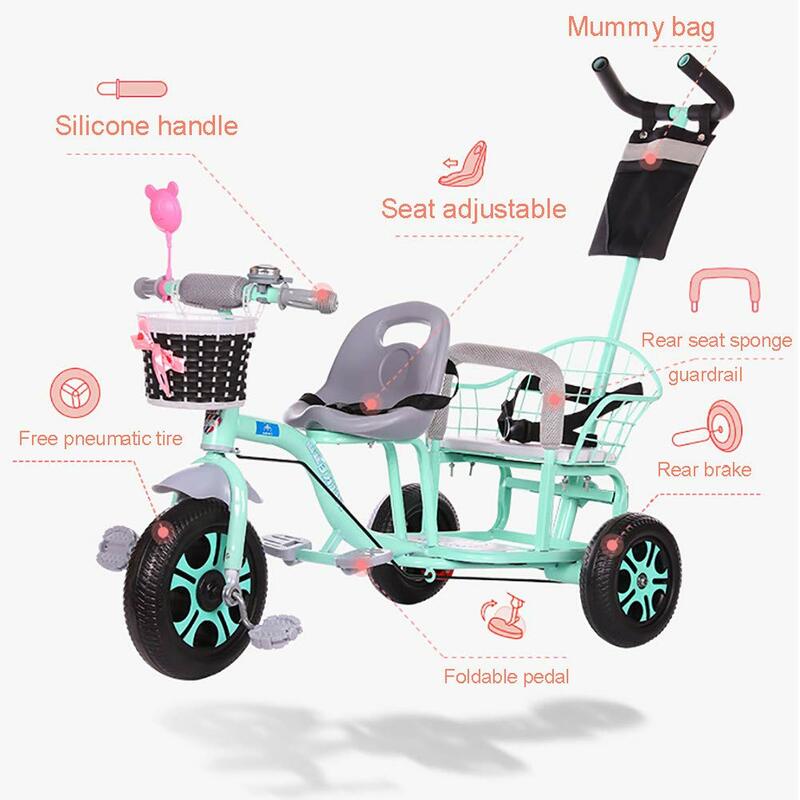 SAFETY WHEEL: The outer wheel of the car is made of rubber, durable, wear-resistant, flexible and shock-absorbing. 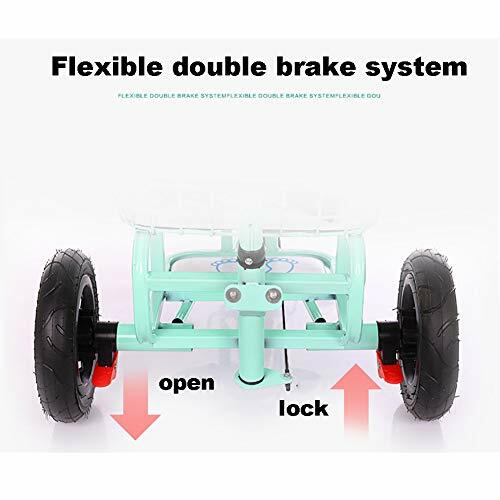 The inner wheel is made of plastic and is strong and secure. 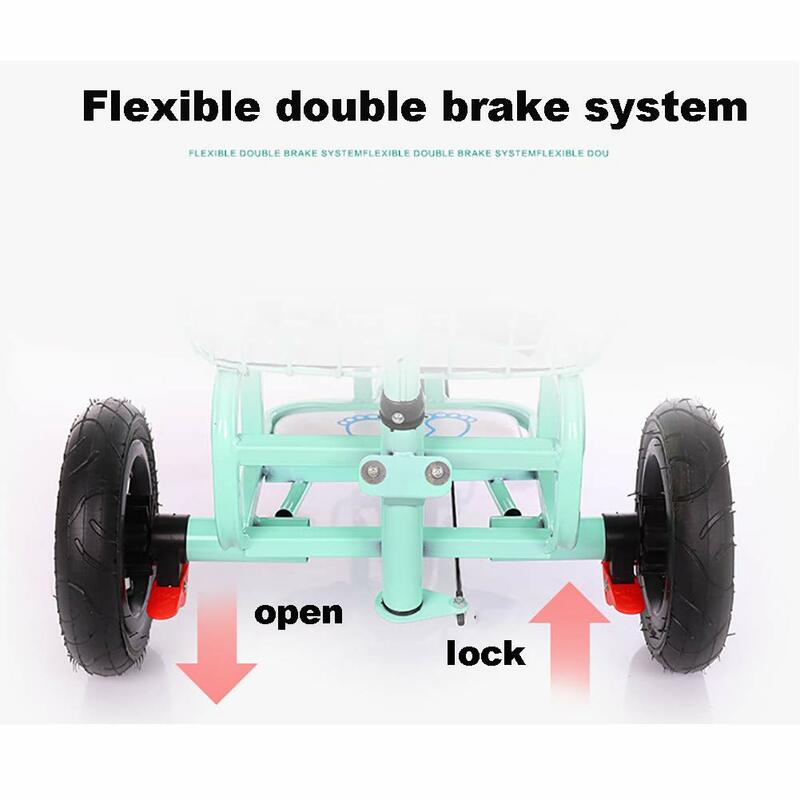 Double brakes on the rear wheels to prevent accidental landslides and protect your baby. 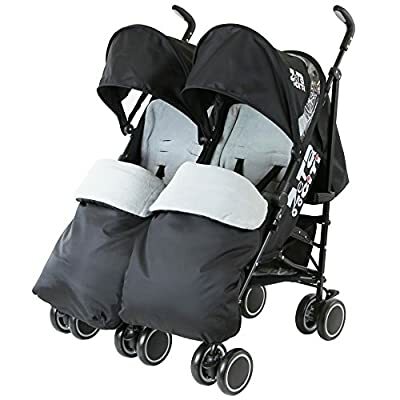 MULTIPLE STORAGE SPACE ：There are storage basket and mummy bag,which can store your belongings,such as toys,snacks and other essential items,bringing great convenience when taking your babies out.